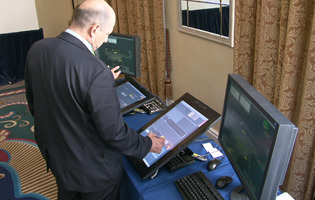 I was the official videographer at The Thales User Group Conference 2011 from 19’th – 21’st September 2011. 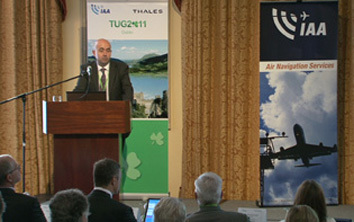 The Conference was held in the Grand Hotel in Dublin and was hosted by the Irish Aviation Authority, it’s called TUG that being The Thales User Group the conference consisted of several speakers talking on the next generation of radar safety and innovations for the future. 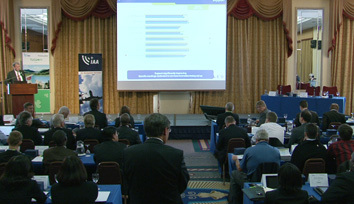 There was also several educational workshops hosted by experts both Irish and from Thales themselves. They had many simulators there to see the latest developments and the delegates were from all corners of the world Australia, South Africa and Serbia. The conference programme was informative, interesting and was chaired by Mr Phillip Hughes from the IAA. The next conference will be held in Cancun and the organisers will have some job to top the work done by Clare and Vicky from the IAA, they did an excellent job and everything was done to perfection, they were both presented with flowers as a thank you for their outstanding organising of the event. I had the pleasure of meeting Gerry Clinton from C.S.S who looked after the Audio Visual, he was a master at his work and did a fantastic job. The conference was a great success and ended with a Gala Dinner hosed in Dublin Castle. If you would like any conferences filmed, please do not hesitate to contact me at Video Me. Wedding Videographer for Louise and Christian – 10’th September 2011. 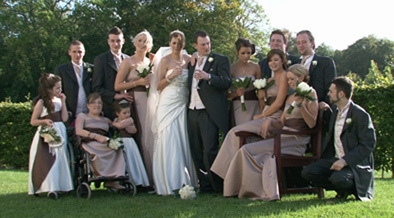 I was the wedding videographer for Louise Flanagan and Christian Lyons on 10’th September 2011. I started at the house where the last minute perparations were taking place, when I arrived I was expecting a bit of panic considering there was 5 bridesmaids getting ready but Louise was in full control and all was calm and going smoothly. The church was St Bridget’s in Blanchardstown Village and it was only 3 minutes from where Louise was leaving we could have walked, Fr. John Jones looked after the wedding ceremony while Carrie Keane looked after the lovely church music. APK Chauffeur Drive and it was just perfect for the occasion. The wedding photographer on the day was John Burke who as always has control of what he is doing and is used to working with large groups. We did not have far to go as the wedding reception was in the wonderful Castleknock Hotel everything ran very smooth there and the speeches were great. The wedding band was the new but wonderful After Dawn who kicked off the night, this dynamic band is comprised of 3 very talented musicians with Michelle on lead vocals and they were excellent and well worth checking out. Wedding Videographer for Michelle and James – 9’th September 2011. 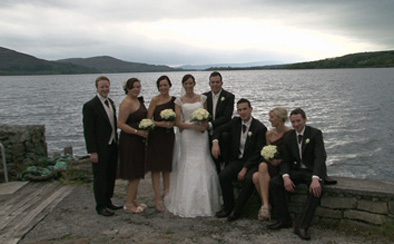 I was the wedding videographer for Michelle lynch and James Creighton on the 9’th September 2011. Michelle and her bridesmaids were getting ready in the lovely Castle Dargan Hotel in Sligo and I was in the lovely village of Drumahair at St Patricks Church getting James and all the guests arriving. The Church was decorated beautifully with both lanterns and flowers, these were done by Jackie James of Mayo Wedding Florists. The bridesmaids arrived in a fab mini that was driven by one of the bridesmaids, the wedding was relaxed while also been traditional. The priest was Fr Brian Shorthall a lovely man whom I have come across several times, he is also a Chaplin in Beaumont Hospital and has a manner that is equalled by his personality and wit and he had everyone in a great mood and very relaxed. 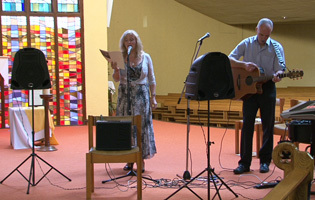 The church music was from The Dublin Gospel Choir who also travelled down for the big occasion and they did a great job. 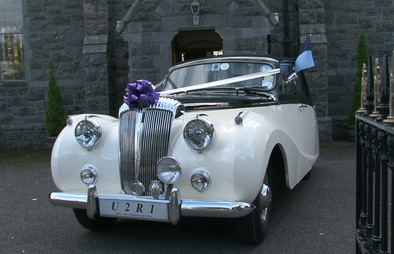 The wedding car was a vintage Rolls Royce with none other that a Dublin flag supplied to the window by Gary at U2R1 Wedding Cars. The official wedding photographer was the famous Phillip Stafford from Ballhaunis Co Mayo he is a pure gentleman and nothing is a problem for him, he also has a great knowledge of good places for taking photographs around Mayo and Sligo. The wedding reception was in Castle Dargan were everything was just perfect and instead of favours Michelle and James donated money to Our Lady’s Hospice Harold’s Cross, a lovely gesture and I have noticed this is starting to be widely used. A great band from Longford called Busy fingers (contact Mel Crowe. 043 24898) were there to keep the friends and relatives dancing till the early hours while I had to drive back to Dublin for Louise and Christian’ss wedding in the Castleknock Hotel on Saturday. A great day and night had by all. 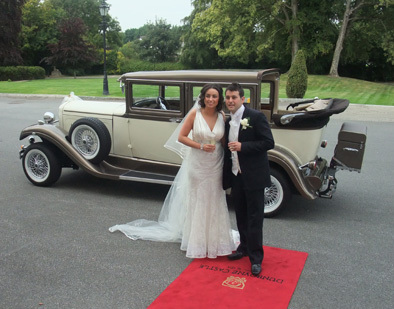 I was the wedding videographer at the wedding of Grace Nolan & Michael Fitzpatrick on 1’st September 2011. The filming began at their home in Clondalkin were the last minute preparations with the hair and make up were taking place. 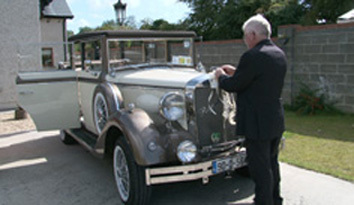 The wedding cars arrived and were beautiful they were from ATT Chauffeurs. The wedding photographer was Martin Moran. The church was the Immaculate Conception in Clondalkin Village and it was decorated beautifully by a friend of grace’s who’s company is called Fi Fi flowers check her out on her facebook page. We did not have far to go as the reception was in the wonderful Dunboyne Castle were Tom and John did a super job as always. The wedding band was Hard To touch and they are so much fun to watch live and every time I see them the floor is packed they really know how to work a crowd.